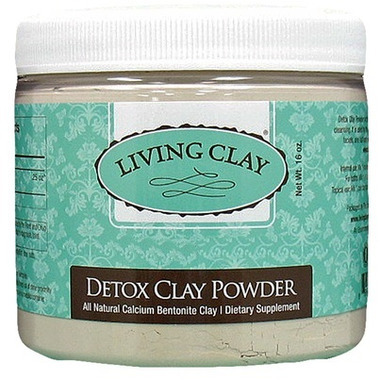 Living Clay Co. Detox Clay Powder provides all natural calcium bentonite clay. Detox Clay Powder is the premier clay for detoxing and deep cleansing. Used by the world's finest spas for clay detoxing baths, facials and full body wraps. For topical use: Mix 1 part clay powder to 3 parts water. Let stand until smooth. We were looking for a product to take the place of the bentonite clay that used to be part of a cleansing programme (the bentonite component was replaced with active charcoal capsules). One teaspoon of living clay works perfectly as part of the internal cleanse. It is also great as a cosmetic powder to reduce the shine left by face creams. I've never used anything that has quite the same effect. The powder is so fine and it doesn't leave your face feeling like sandpaper.